A roster of prominent BJP leaders will join Narendra Modi on India’s cabinet. Following Narendra Modi’s inauguration as India’s next prime minister on May 26, the Bharatiya Janata Party (BJP) has delivered the long-awaited announcement of the men and women who will comprise India’s next cabinet of ministers. The Cabinet of India is a collective decision-making body which lead by the prime minister and is the apex of the executive branch of India’s government. Even prior to formally announcing the cabinet, Modi and the BJP foreshadowed that they were keen to reduce the size of the cabinet by consolidating the control of multiple ministries under a single minister. With the announcement of the cabinet, we see that this is largely true — Modi’s cabinet is considerably smaller than that of his predecessor. Several prominent BJP names were announced as cabinet-level ministers. Most prominently, Arun Jaitley, formerly the leader of the opposition in the Rajya Sabha under the UPA-led coalition government, will consolidate India’s Ministries of Finance and Defense under a single portfolio, at least initially. Under the last National Democratic Alliance-led government, Jaitley served as the Minister of Commerce and of Law and Justice. Jaitley has said that he will prioritize controlling India’s spiraling deficit and inflation as Finance Minister. “The challenges are very obvious. We have to restore back the pace of growth, contain inflation, and obviously concentrate on fiscal consolidation itself,” Jaitley said. Jaitley also clarified that he is only in charge of the Indian Ministry of Defense “for a transient phase” — a new defense minister will likely be chosen within Modi’s first year in office. Jaitley’s role as Finance Minister will be closely scrutinized as Modi and the BJP won their electoral mandate almost entirely on their perceived ability to fix India’s economy. In another prominent pick, Rajnath Singh, president of the Bharatiya Janata Party (BJP) will serve as the Minister for Home Affairs. 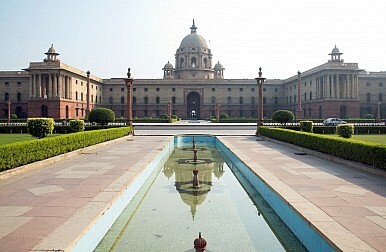 The Home Ministry is responsible for the maintenance of international security and domestic policy in India. The ministry controls India’s border, handles Kashmiri affairs, and manages center-state relations. Rajnath Singh previously was a chief minister in Uttar Pradesh in the early 2000s. Sushma Swaraj will handle India’s External Affairs portfolio, becoming the first woman to do so in Indian history. According to International Business Times, Swaraj is a “veteran politican and a reputed speaker,” and has experience managing the office of information and broadcast, and health care. She was most recently the leader of the opposition in the Lok Sabha. Nitin Gadkari, one of the younger members of the cabinet at 56, will take over India’s Ministry of Transport. Gadkari earlier served as the President of the BJP and is a strong supporter of privatization. During his time as BJP President, he focused on uniting the party to deliver on good governance, development, and poverty reduction. Overall, Modi will be flanked by a cast of prominent BJP names as he attempts to revive India’s once-flourishing economy. None of Modi’s cabinet picks appear to have been particularly surprising or controversial so far. Surrounded by a capable and ambitious group of ministers, and abetted by a considerable majority in the Lok Sabha, Modi may find it easy to coast on his political momentum to deliver concrete change for India’s economy and society. All eyes are on the Modi government before the implementation of India's most consequential tax reform. Does India's 2017 Budget Impress?Iranian Foreign Minister Visits IndiaIs the Modi Government's Moment of Reckoning Here?Narendra Modi to Become First Indian PM to Visit IsraelIndian Elections 2019: Do Narendra Modi and the BJP Deserve a Second Term?